In January 2014, Tom Baker celebrated his 80th birthday. 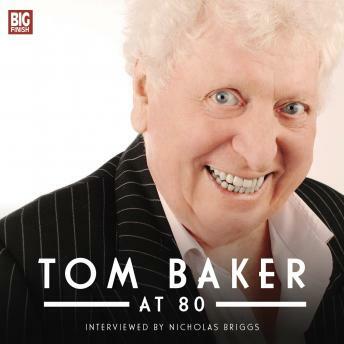 On March 19th, Tom sat down with Nicholas Briggs to look back over his 80 amazing years - his youth, his early acting career, his great success with Doctor Who and beyond... and his return to his most famous role with Big Finish. This candid and intimate interview forms two fascinating hours of engaging entertainment in the unique company of Mr Baker. All copies of the CD version purchased before 3rd September 2014 will be signed by Tom.